HE CALLS YOU ALREADY FOR SO LONG. DON’T KEEP TURNING A DEAF EAR ANY LONGER! HAVE YOU ALREADY ALLOWED HIM, JESUS ​​CHRIST, AS YOUR LORD AND SAVIOR? THEN BE OBEDIENT TO HIS COMMAND, TO LET YOURSELF BE BAPTIZED BY IMMERSION. Hello, welcome! On September 13th, 2013, the messenger angel of God brought on the following message from God to His simple and true end-time Prophet, Benjamin Cousijnsen. Shalom! I greet you in the almighty Name of Yeshua HaMashiach, Isa, Jesus Christ of Nazareth. Verily, verily, I tell you, my name is Ruebeach, and I am a messenger angel of God. for or against Yeshua HaMashiach, Isa, Jesus Christ or satan, who really has 100% taken over many people. How can this be? you still ask. Because these people have had many, many opportunities and have repeatedly rejected Yeshua HaMashiach, Isa, Jesus Christ, the Son of God! He called you, but you turned a deaf ear and a blind eye. Matthew 3, verses 1 to 3 Read this aloud. Here it is written: In those days, John the Baptizer came, preaching in the wilderness of Judea, saying, “Repent, for the Kingdom of Heaven is at hand!” For this is he who was spoken of by Isaiah the Prophet, saying, “The voice of one crying in the wilderness, Make ready the way of the Lord, Make his paths straight. Verily, and now in recent days came a simple, and also not a most learned man, which the God of Abraham, Isaac and Jacob chose for. Verily, if you are consecrated as a baby, a blessing and protection was asked; and this is not a baptism. Verily, but now that you are no longer a baby and can choose to be a Christian, and are able now to make your own choice, you can have yourself baptized under the confession of your sins. Verily, on September 3, 2013, Prophet Benjamin Cousijnsen revealed that Assad in Syria used sarin, nerve gas, and that Assad had sent the command himself. More about this after this video. Verily, on September 12, 2013, it was also spoken about Christian persecution. Read aloud: Matthew 24, verse 22 Here it is written: Unless those days had been shortened, no flesh would have been saved. But for the sake of the chosen ones, those days will be shortened. John 12, verse 48 Here it is written: He who rejects me, and doesn’t receive my sayings, has one who judges him. The word that I spoke, the same will judge him in the last day. 1 Peter 2, verses 19 to 25 Here it is written: For it is commendable if someone endures pain, suffering unjustly, because of conscience toward God. For what glory is it if, when you sin, you patiently endure beating? But if, when you do well, you patiently endure suffering, this is commendable with God. For to this you were called, because Christ also suffered for us, leaving you an example, that you should follow his steps, who did not sin, “neither was deceit found in his mouth.” Who, when he was cursed, didn’t curse back. When he suffered, didn’t threaten, but committed himself to him who judges righteously; who his own self bore our sins in his body on the tree, that we, having died to sins, might live to righteousness; by whose stripes you were healed. For you were going astray like sheep; but are now returned to the Shepherd and Overseer of your souls. 1 Peter 4, verses 12 to 16 Here it is written: Beloved, don’t be astonished at the fiery trial which has come upon you, to test you, as though a strange thing happened to you. But because you are partakers of Christ’s sufferings, rejoice; that at the revelation of his glory also you may rejoice with exceeding joy. If you are insulted for the name of Christ, blessed are you; because the Spirit of glory and of God rests on you. On their part he is blasphemed, but on your part he is glorified. For let none of you suffer as a murderer, or a thief, or an evil doer, or as a meddler in other men’s matters. But if one of you suffers for being a Christian, let him not be ashamed; but let him glorify God in this behalf. 1 Peter 3, verses 13 and 14 Here it is written: Now who is he who will harm you, if you become imitators of that which is good? But even if you should suffer for righteousness’ sake, you are blessed. “Don’t fear what they fear, neither be troubled. And verse 17 For it is better, if the will of God should so will, that you suffer for doing well than for doing evil. Verily, many have been taken over and their soul is already in hell! Verily, but the end of all things is at hand. The fallen angels of satan want to exterminate the truth and all Christians, because of their faith in the truth! Many, including you, will come and stand before God, whether you are a Christian or a Muslim, whatever! Everyone will have to render an account. Also, many will not, because their souls are already in hell. This also explains their behavior and hate! Read aloud: Matthew 5, verses 11 and 12 Here it is written: Blessed are you when people reproach you, persecute you, and say all kinds of evil against you falsely, for my sake. Rejoice, and be exceedingly glad, for great is your reward in heaven. For that is how they persecuted the Prophets who were before you. And verses 8 to 10 Blessed are the pure in heart, for they shall see God. Blessed are the peacemakers, for they shall be called children of God. Blessed are those who have been persecuted for righteousness’ sake, for theirs is the Kingdom of Heaven. Choose for Him, the Truth and Salvation, who is the only Way and the Life: Yeshua HaMashiach, Isa, Jesus Christ. 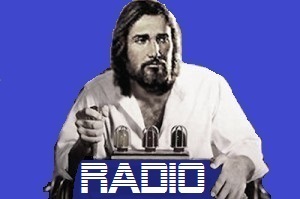 ⟵Seid euch meiner Botschaften, von Prophet Benjamin empfangen, bewusst, sagt Jesus Christus zu Ihnen!